Not much can be found about Julian L’Estrange. 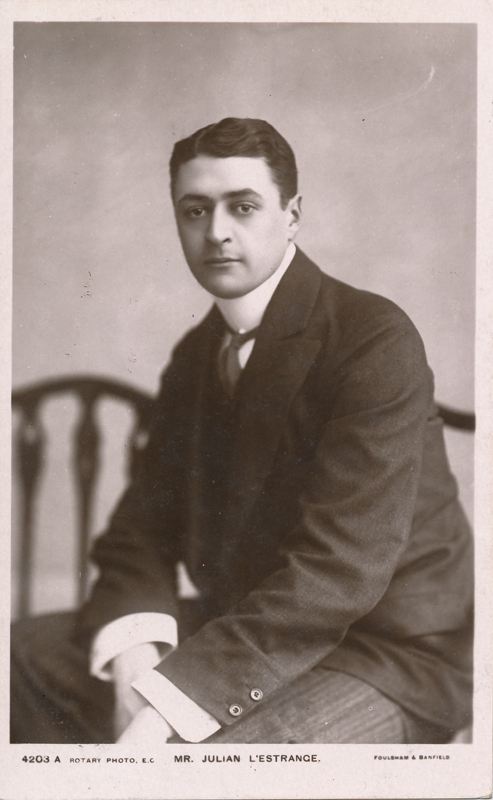 He was an Irish-born actor and married actress Constance Collier in 1905. He became a victim to an influenza epidemic, and pneumonia in 1918. 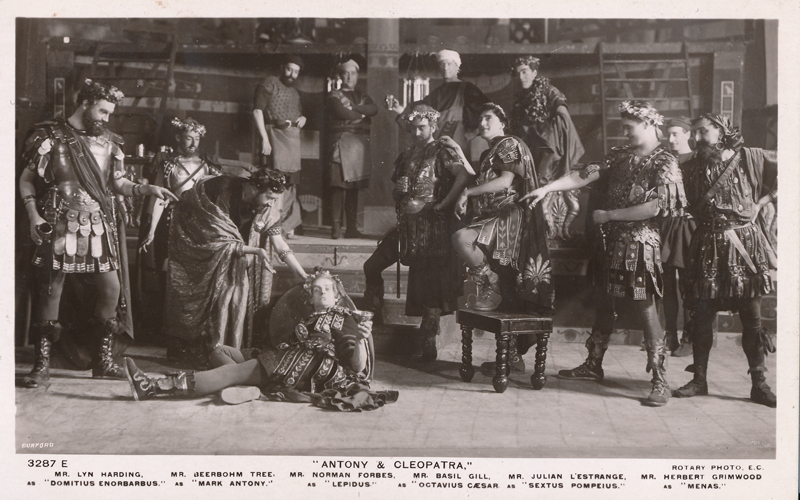 He performed with Beerbohm Tree’s company, particularly in Antony & Cleopatra.